This reminds me of Bill Roorbach’s loophole: birdwatching and gardening count as writing during his keyboard time. And in your case, fox watching and photography! 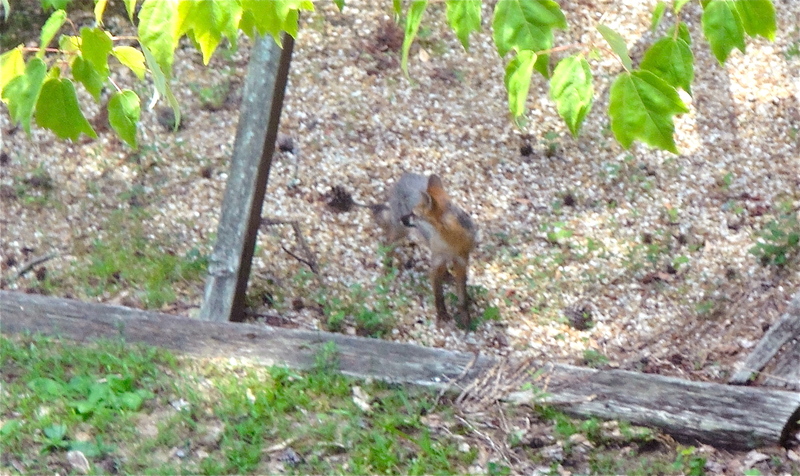 It is rare to see a fox. 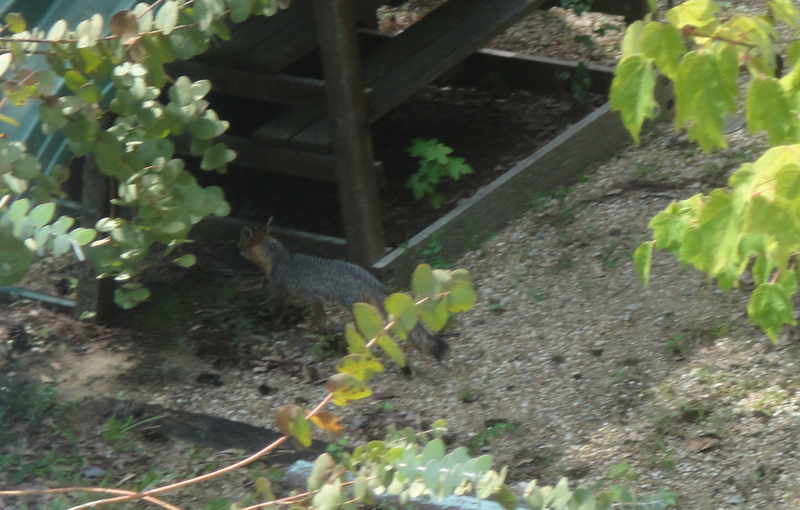 I’ve seen lots of coyotes but only one fox that I recall. Perhaps you should invest in a little hot pot like the ones we used to have in college dorm rooms. I’d need a small kitchen. But, it’s the box of chocolates that Bob brought from Switzerland that is keeping me going on my thesis. Richard, Darrelyn, and Jodi: Thanks for your comments. I’m perhaps looking up too often today, but no fox sightings I’m disappointed to report.